Fife Council could be losing out on half a million of funds because of a legal loophole applied to second homes. Fife Liberal Democrats have raised concerns that second home owners are using the system to get out of paying the full amount of council tax they should owe. Council officials confirmed that across Fife, there are 471 properties using a small business rate exception which are holiday units. This, the Liberal Democrats said, works out as lost tax revenue of more than £500,000 – equating to an estimated loss based on a band D charge – for Fife Council. Councillor Tim Brett said that while it was great that the kingdom had a thriving tourism industry, the hundreds of second homes across Fife came “with a downside”. “Local residents will rightly feel angered to learn that so much money is being missed out by the council, because of an albeit legal, but morally questionable loophole. 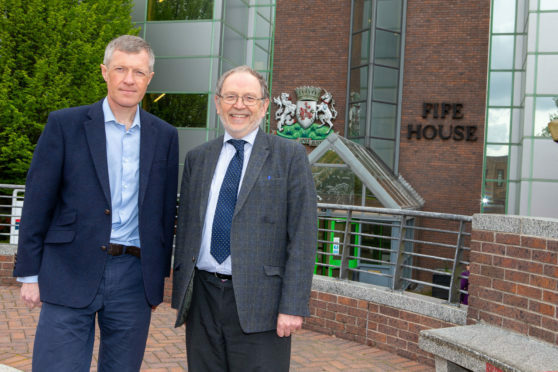 Scottish Lib Dem Leader, North East Fife MSP Willie Rennie, added: “If these second home owners were all paying the full council tax, there would be half a million pounds more for the council coffers – that would be going to essential services. “That’s a huge loss, especially when there’s so much pressure on the budget. It’s not right that these holiday lets are not making the same contribution that everyone else is locally, we need a better system that is more fair. Fife Council’s head of revenue and commercial services, Les Robertson, revealed over the course of the last seven years around 400 householders had switched from paying council tax to non-domestic rates. “The vast majority of these receive the small business bonus scheme. To be able to change from paying council tax to non-domestic rates, households have to meet current criteria. This includes installing a water meter to pay water service changes as they do not pay domestic water charges, needing to have domestic bins removed and make arrangements for commercial waste uplifts and having proper holiday let insurance.